If someone asks you where you can still see dragons nowadays other than in many fantasy movies, the answer is Pulau Komodo (Komodo Island). As the name states, this is the island where komodo dragon, a species of prehistoric monitor lizard, still roams freely and has never been altered from their original shapes from millions of years ago. Komodo Island is located in the southern part of Indonesia archipelago, and is officially under the administration of East Nusa Tenggara province. The island has been included in the New 7 Wonders of Nature, and is actually a part of Komodo National Park. With the size of 390 square kilometers and around 2,000 of population, Komodo Island is located in a neat position between Sumbawa and Flores. The people here live side by side with various rare animal species that roam freely, including the famous Komodo dragon (Varanuskomodoensis). Legend about the ‘dragon island’ was first brought up by Dutch sailors posted in East Nusa Tenggara during the early 20th century. The sailors reported about giant dragons that roamed freely on the island, with were as large as 2 meters in length and could spit fire (actually poisonous saliva). A lieutenant named Steyn van Hensbroek then visited the island and killed one of the dragons, then ordered the specimen to be photographed and recorded, with the results being sent to Zoological Museum and Botanical Garden in West Java. 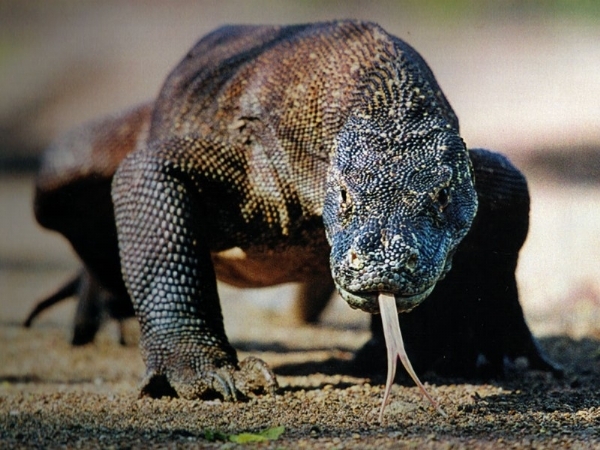 Since then, the ‘dragon’ is called Komodo dragon, based on the name of the island. Surely enough, Komodo dragons become the iconic animals in Komodo Island despite their ferocious nature. Komodo is a dangerous predator that can easily harm and kill large mammals, including humans. Their saliva contains 40 different types of bacteria and there is no cure for all these bacteria, and their sense of smell is strong. Therefore, women who are in their periods are forbidden to enter the island. Despite of the ferocious Komodo, this island also holds other natural attractions. Komodo Island has many Java deer, buffaloes, boars, wild horses, macaques and civets. The island also has unique species of cockatoo and friarbirds. It also has beautiful underwater view, and has become one of the most beautiful diving sites in Indonesia. Roaming the beach in this island is also a unique experience. Besides seeing the lives of locals, we can also see pink beach. This phenomenon happens because the sand consists of red sand, white sand, and small pieces of Foraminifera. 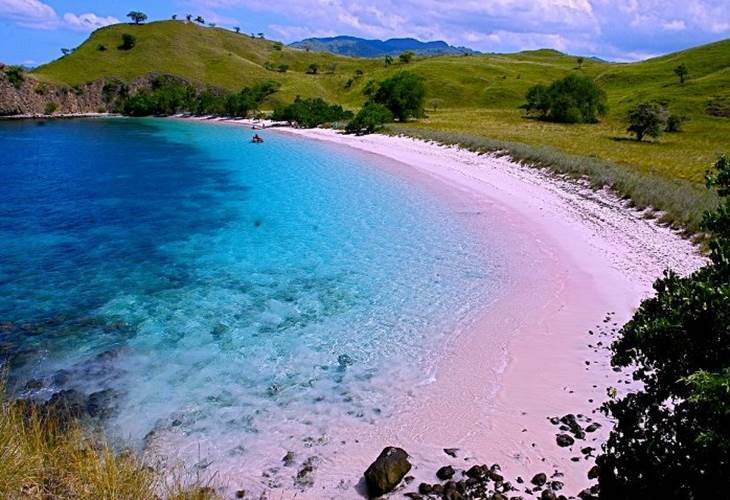 This pink beach is one of only seven other similar beaches in the world. The popularity of Komodo Island inspired various travel agents and hotels in East Nusa Tenggara to arrange Komodo related activities. There are Komodo expedition trip, diving package, Komodo kayaking and camping. However, if visitors want to see Komodo, they must visit via the national park’s office, so there will be experienced guides to accompany them.With its unique fauna, natural beauty and long last legend of the ‘real dragons,’ the Komodo Island will still become a one of a kind island in Indonesia archipelago.